In order to obtain reliable results in clinical and diagnostic PCR work, it is necessary to maintain an ultra-clean work environment that is free from biological and particulate contamination. Additionally, UV radiation is needed to destroy post-procedure contaminants. Clyde-Apac PCR60TM cabinets provide a high degree of protection for products and apparatus in PCR applications. 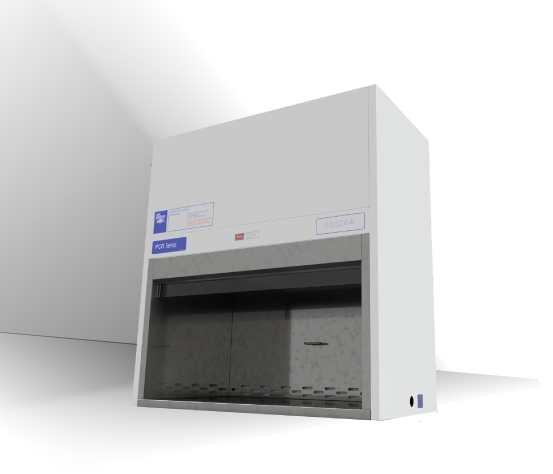 The PCR60RTM is a variant of the basic PCR cabinet, and provides protection for both personnel and products. In order to obtain reliable results in clinical and diagnostic PCR work, it is necessary to maintain an ultra-clean work environment that is free from biological and particulate contamination. Additionally, UV radiation is needed to destroy post-procedure contaminants. 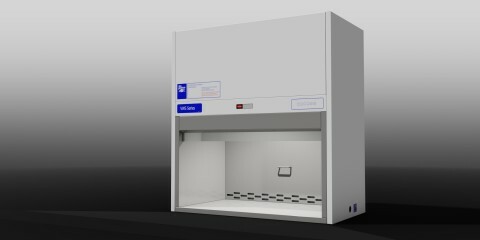 Clyde-Apac PCR60TM cabinets provide a high degree of protection for products and apparatus in PCR applications. 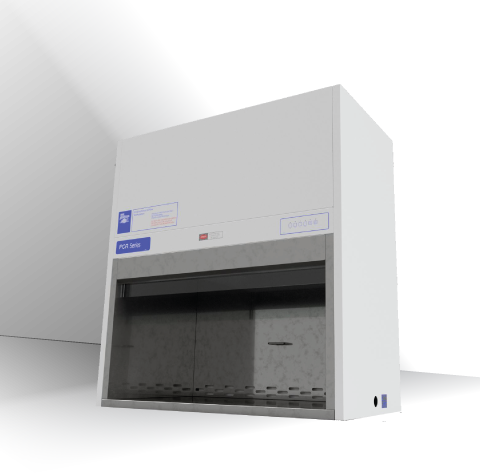 The PCR60RTM is a variant of the basic PCR cabinet, and provides protection for both personnel and products. Cabinets are vertical laminar flow workstations designed for installation on standard laboratory benches, or on optional floor stands. Their compact dimensions reduce the need for bench space. They are designed and manufactured in Australia, and each unit is factory-tested and certified by a NATA-registered laboratory. Please refer to our Standards page. Vertical laminar airflow in the work zone creates a biologically-clean, particle-free work environment that reduces cross contamination during sample preparation. Partial recirculation of air leaving the work zone reduces air turbulence and extends HEPA filter life. A short-wavelength UV lamp inactivates residual DNA/RNA particles, thus reducing carryover contamination. The UV operates only with the fan switched off, and the UV shield should be fitted whenever the UV lamp is in use. 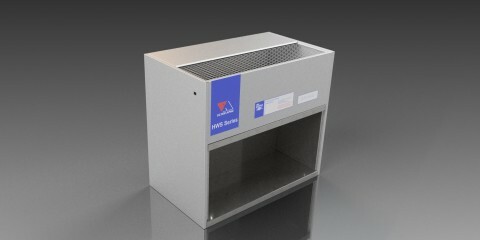 In addition to the product protection afforded by PCR60 cabinets, the PCR60R provides protection for personnel. This is achieved by an air barrier at the work opening and HEPA filtration of the exhaust air. An air barrier between the operator and the work zone is maintained by a flow of room air into a grille in the work opening. All positive pressure zones are surrounded by negative pressure zones, so as to contain hazardous aerosols.